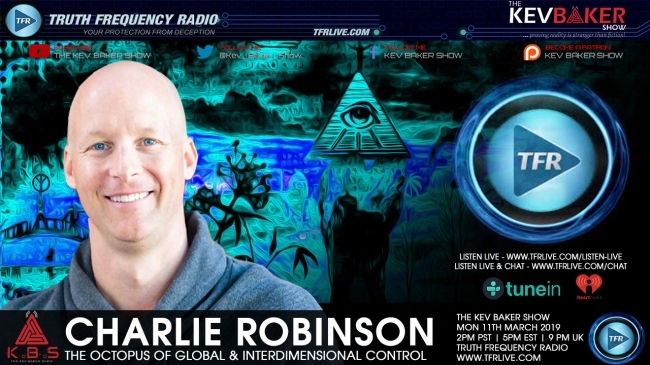 Charlie Robinson, author of The Octopus Of Global Control joins me to go over the latest news & to show how it all plays into a century old plan to create a New World Order. We open up by discussing Chelsea Manning’s return to prison for refusing to through Wikileaks under the bus. We talk about how Chelsea has bigger stones than most men that are put in the very same position. From there we take a look at how the Thought Police are alive and well over here in the UK after they dragged a mother out of her house in front of her children for misgendering someone during an argument on Twitter. This opens up the discussion on the fact that the police, social media giants & governments are all working in cahoots with one another to silence anyone going against any part of their agenda. After Zuckerbergs post on Facebook just the other day stating how he intends to make the platform more private, Charlie talks about the fact that Facebook consider Netflix, Apple, Spotify & Microsoft all part of their business, so much so they all got to read, write, and delete users personal messages! These companies may seem to be separate entities but in fact they are all a part of the Military Industrial Terror Complex, something Charlie explains on the show.